What is Considered Contracting Without a License in Florida? Contracting without a license in Florida is a serious offense, punishable by either misdemeanor or felony charges as provided for by Section 489.127, Florida Statutes. Anyone who takes compensation for building or demolishing real estate structures is considered a contractor under Florida law. These activities can include, but are not limited to, the following services. What are the potential punishments for contracting without a license in Florida? Within the state of Florida, there are a total of nine ways to commit unlicensed contracting. A conviction may be sustained on only one violation. A first offense is usually given the charge of a first degree misdemeanor. The maximum penalty includes a fine of $1,000 and either one year of probation or jail time, depending on the discretion of the court. Offenders with a record of previous unlicensed contracting face steeper charges and harsher penalties. Unlicensed contracting with previous offenses can bring a third degree felony charge. This carries with it a maximum penalty of 5 years of probation or jail time along with a $5,000 fine. The court may also charge a contractor with a third felony if that contractor is charged during a executive order State of Emergency. The penalty for unlicensed contracting may also be forced to submit to other forms of restitution as ordered by the court. This usually occurs if a victim claims that a contractor used materials or performed work that was below standard. There is no hard standing limit to the maximum amount of restitution. If restitution is ordered by the court and the contractor does not pay, he may be held in contempt of court. What are the best defenses to a charge of unlicensed contracting? The prosecution must prove that the defendant in an Unlicensed Contractor case made representations as a licensed contractor and acted in this role. If the actual work done for the client was limited, this will serve as a factual defense to the charge. Proving the absence of a certificate to perform certain contracting work in Florida is not a black and white issue. Florida rules of evidence are very specific, and the State may not be able to prove its case fully uner the auspices of a technical defense. As mentioned above, not all improvements or demolitions to a building require a license, regardless of compensation. Chapter 489 provides for more exemptions to a Florida contracting license. Falling under one of these exemptions serves as a total defense to the charge of Unlicensed Contracting in Florida. 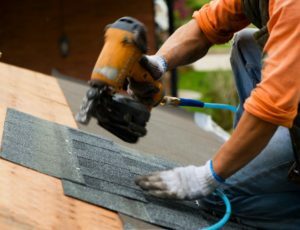 How do I defend myself against an Unlicensed Contractor charge? The attorney you choose is vital to your success in defending against an Unlicensed Contractor charge. Pleading guilty to avoid the expense of court may hinder your professional life for much longer than fighting your case. The Law Offices of Verderamo & Nunez is here to help you right now – call or email us immediately for a free, confidential consultation. The Law Offices of Verderamo Nunez are committed to providing legal representation primarily in the fields of criminal law and personal injury law. While our office are situated in Naples and Ft. Myers, Florida, we proudly represent clients throughout Collier and Lee Counties and their surrounding areas, including, but not limited to, Naples, Fort Myers, Bonita Springs, Estero, Cape Coral, Golden Gate, Immokalee, Lehigh, and Marco Island. The Law Office of Verderamo & Nunez is located at 2662 Airport Pulling Rd S Naples, FL 34112. For more information, call (239) 775-1004.